On the afternoon of Saturday afternoon, in a small TD Garden light, a visit to the Los Angeles Kings decided to sit in court during Patrice Bergeron's ceremony for a reason – respect. 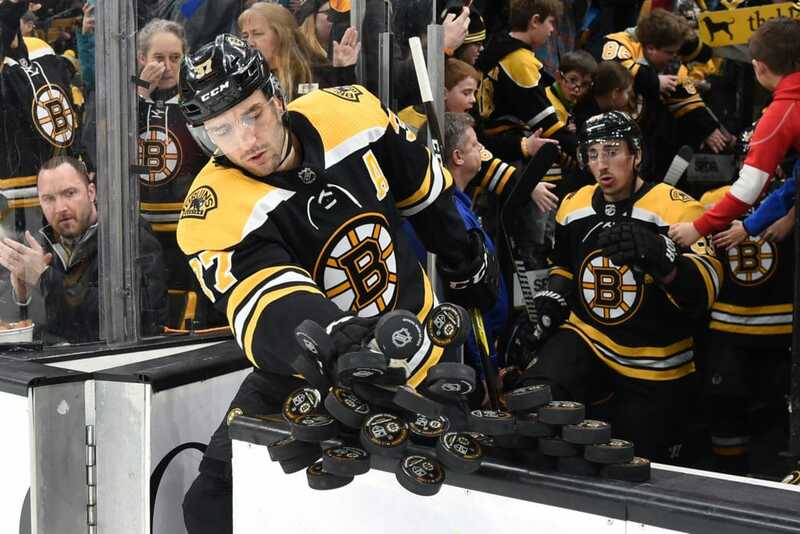 Although Bergeron played his 1,000th NHL game on Tuesday, the team held a celebration before the victory of Bruins' 5-4 overtime at Kings on Saturday. Since the on-ice ceremony is scheduled to last between six and 10 minutes, the visiting team may stay in the locker room to properly prepare for the game. Instead, all Kings players discussed it earlier and decided to go and court to honor Bergeron's milestone. Kings forward Nate Thompson broke into pro hockey in Bergeron. Both were drafted in the same year (2003) of Bruins and participated in their first NHL training camp together. They were also team-mates for Providence Bruins in the 2004-05 NHL lockout.